How many times have you scolded your misbehaving canine with those words? Probably too many. But before you fly off the handle, one of the most important things to understand about correcting bad behavior is that punishment doesn't work. Many times, dogs don't understand what they're being punished for, and will respond by learning to hide the behavior. 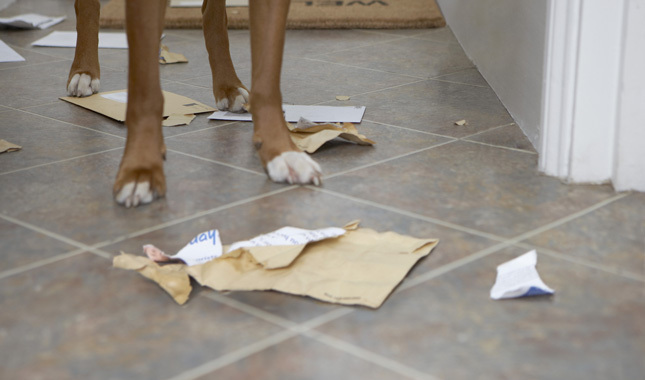 To help you get a handle on your dog's conduct, we've listed common bad habits. 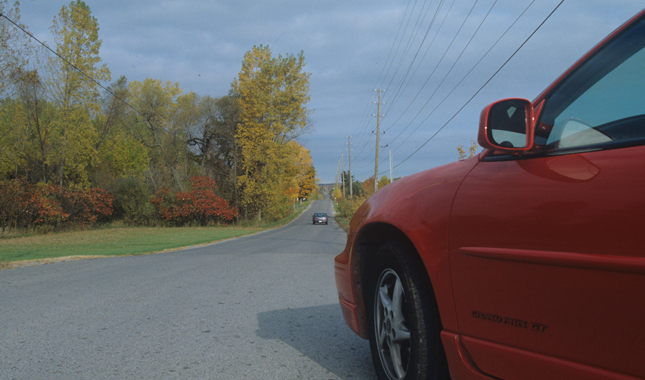 We offer tips here and we also link to longer articles on each subject as well. But remember, it is always important to discuss behavior issues with your veterinarian who can determine if they are caused by a medical problem. If he gives you the all clear, consider enlisting the help of a trainer or behaviorist to teach your dog appropriate go-to behaviors. Dogs bark at the doorbell for any number of reasons. They could be excited or anxious about visitors, or they might bark as a watchdog tendency. Some dogs even equate their barking with you opening the door, so they think they're training you to open the door when they bark. One of the best ways to stop barking at the doorbell is to teach and reward an alternative behavior, like sitting on a nearby mat and waiting for the door to be opened. 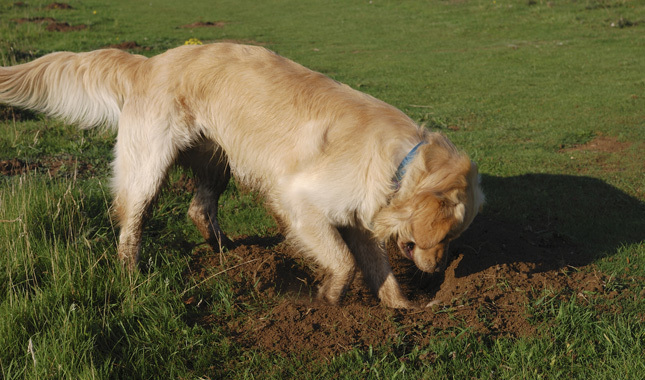 Digging is an extremely rewarding activity for dogs, whether they're digging to reach a scent or simply to release pent-up energy. Help your dog practice this behavior appropriately by giving him a sandbox or section of the yard where he's allowed to dig. Even if his begging only works once in a blue moon, he'll repeat and escalate the behavior until all his barking and whining pays off with a rare food reward. Instead of giving in, provide your dog with an appropriate dinnertime activity, like enjoying his own toys or food puzzles. This is one of the most "eww"-worthy bad behaviors. 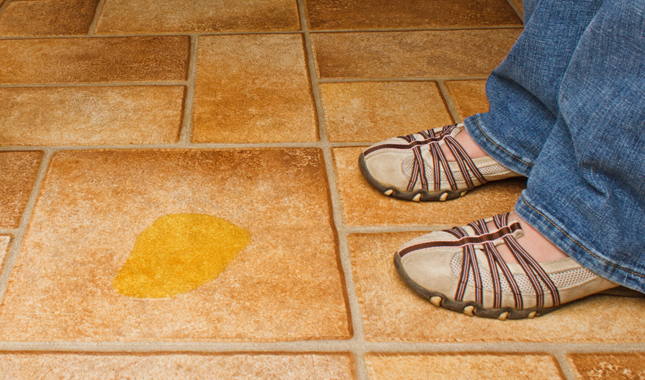 Dogs pee on things to mark territory or leave messages for canine friends, which is generally acceptable outdoors. If you catch your dog urine marking (or even preparing to mark) inside the house, quickly interrupt him with a "no" or an "oops" and take him outside. Then reward and praise him for choosing to urinate outdoors. 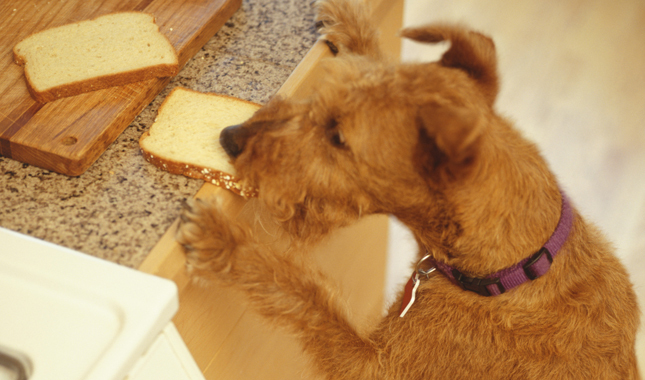 Trainers call this bad behavior "counter-surfing." It's one of the more difficult habits to break, since Fido experiences a huge reward for stealing the food: He gets to eat it! The easiest way to solve this problem is to eliminate the opportunity. Don't leave food around, and use baby gates or fencing to restrict your dog's access to the kitchen when you're not there to supervise him. Teaching the "leave it" command is useful for when you catch him in the act of stealing snacks. My Dog Gets Overly Excited When We Have Visitors — How Do I Calm Her Down? Q. My 5-year-old German Shepherd/Belgian Shepherd mix is well behaved and follows commands when she is at the vet, at the groomer, and at home with me. But when I have visitors, she becomes overly excited and barks, and will not obey commands. What can I do about this behavior? She absolutely ignores me when visitors come to my house. A. This is the most common complaint I hear from pet owners: The sound of the doorbell often unleashes an eruption of barking, racing back and forth, pawing and scratching at the door, and jumping all over any and all guests. Even worse, an excitable pooch takes several minutes to calm down enough to respond to familiar commands. Your situation — where your dog listens well under relaxed conditions but tunes you out when extremely excited — is very normal. 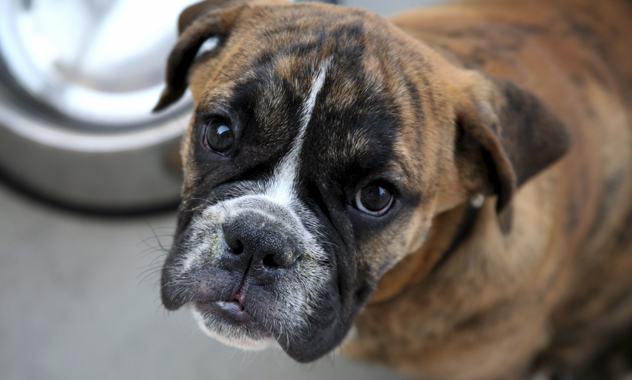 Start by teaching your dog to do a down stay on a mat when a visitor comes to the door. You will need to teach this behavior well in advance of someone ringing the bell or knocking at your door. Mat training should slowly integrate distractions and visitors as your dog's training progresses. In the beginning, give your dog only limited freedom on the end of a leash when a guest comes to the door; over time, work up to having her off leash when the doorbell rings. Have a leash next to the door that you can easily snap onto your dog’s collar when a guest arrives; this will prevent her from racing around your house, dashing out the door, or jumping on your visitor. Be sure to practice your mat work beforehand with the leash on. Using a leash keeps your dog closer at your side and gives you more ability to direct her to perform appropriate behaviors. Set up a treat station by the door that is out of reach of your dog, but can easily be accessed when a guest comes over. When a guest comes in, treat your dog for sitting, and then immediately ask her to do another behavior, or simply to stay in the sit to await another treat or petting. You may need to treat your dog more frequently until she learns to behave calmly under the most exciting circumstances. For instance, when you are home alone, you may only need to treat your dog at the very end of a long sit stay when the door opens. However, when a guest comes over and ups the excitement level significantly, you may need to treat her every few seconds to begin with. Involve your guests and reinforce positive behavior in your dog by asking them to treat or pet your dog only when she's sitting. Provide a positive outlet for your dog's energy once your guest comes in the house. Giving your dog a food puzzle or a chew toy, or engaging her in an interactive game such as fetch, will direct her excess energy into something productive and distract her from jumping on your visitors. Outlets for excess energy, such as twice-daily walks or doggy day care, are critical in decreasing your dog’s excitement level. Dogs that rarely get outside to run are understandably going to wreak havoc and be very unresponsive to their owners. However, the more outdoor exercise your dog gets, the more able she will be to relax at home — even when someone exciting comes for a visit. Dogs bark at the doorbell (or door knock) for a number of reasons. Many dogs are excited about visitors, some are trying to be a good watchdog, and some may be barking out of fear. Whatever the reason for your dog’s barking, Mikkel Becker shows you how to redirect a doorbell response. A Lesson in Aggression with the usage of positive motivation !